I race to him at the end of the work day, and am usually greeted with a squeal and a staccato hug. He then takes his shoes out, and prepares to come home with us. The routine works well for him… he has his cousin to play with in the day (as opposed to being an only child) and at the end of the day, he comes home with the two people who love him more than anything else in the whole wide world. It’s been working out, so far. Weekends are sacred. Try to take him away from me. I bite. I don’t know if this will be a permanent arrangement. I think that work is good for me and my family. It keeps me sane, and ultimately, the pay check also helps in meeting the escalating costs of having and maintaining a child in Singapore. I am doing what feels best for everyone… and we shall see how it goes as the boy gets older. I am not justifying my decision to be a full time working mum. I read through what I’ve written so far, and I’m reminded again as to why I think that this is a course of action which I feel that we are comfortable with. I have had the luxury to make a choice, and for this I’m grateful. That said, I really take my hat off to all Stay At Home Mums. It’s not easy handling everything, and juggling everything else atop of handling one, two or more! children who are usually more needy and demanding than many adults. I’m constantly amazed by the Stay Home Mum’s ability to keep everything together – and even though there are days when things could be better, they still solder on, for heart and home. I still wish to have more time with my son, especially when I’m reminded over social media about the events of the day as recounted by the SAHM and on days when I’m missing him so much at work that it hurts. However, I have made my choice, and for now, it’s working out in all our favour. I’m a Full Time Working Mum but it doesn’t make me a lousier mum than those who stay home with the kids. The time I have with my child is precious, and I have learnt the true value of it only because I don’t have the luxury of spending as much time as I am able to with him. 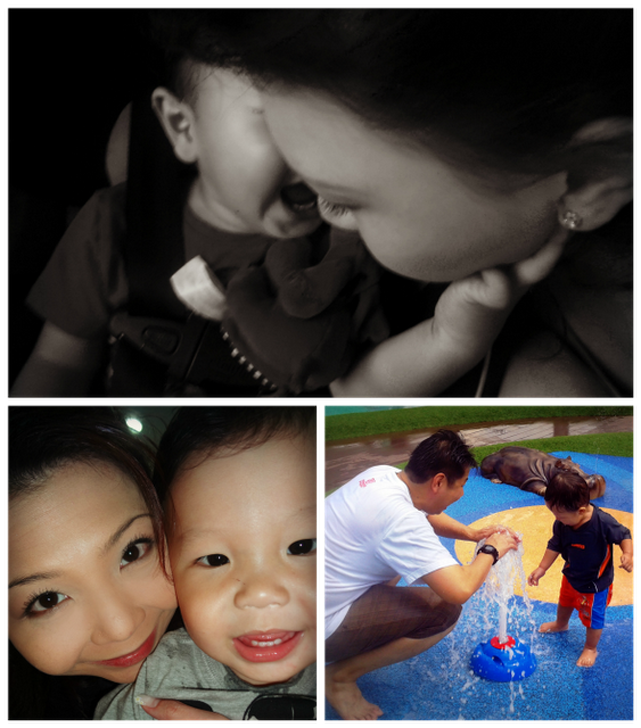 We spend quality time together, as a family, and as much as the boy has brought us joy… we think that he’s happiest when he spends these precious moments with us, too. heART Studio- A Review	It’s my SITS Day! !